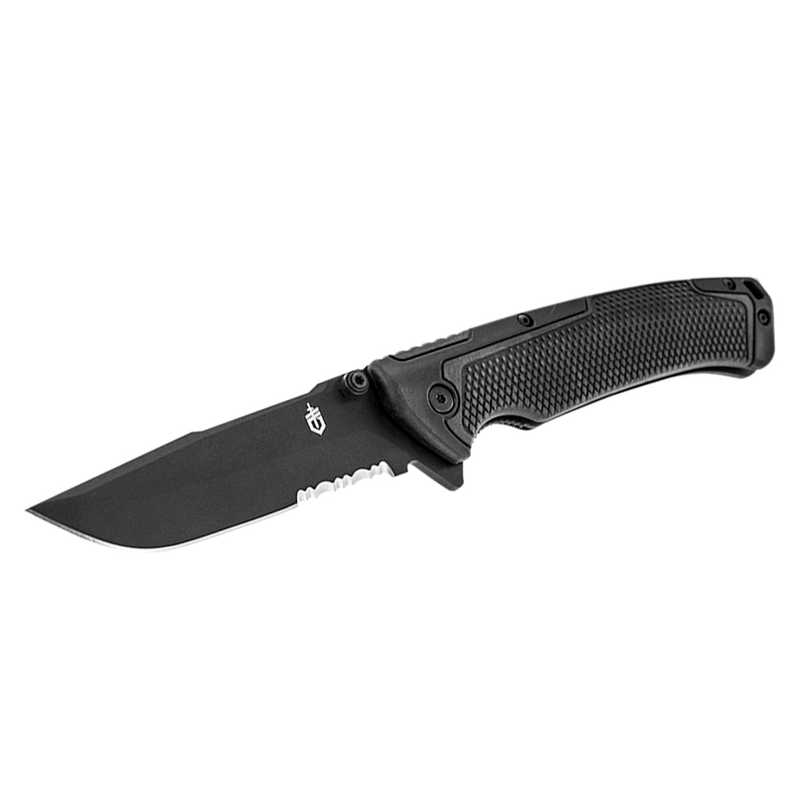 The S30V modified tanto blade provides superior piercing ability, easily accessed by the thumbstuds or finger flipper. Black ceramic protects the blade against corrosion; a glass filled nylon, rubberized diamond texture handle is tough and easy to grip. Opnun: „Finger flipper“ uggi og þumalpinnar. Stálbroddur á enda skeftis til að brjóta hert gler, t.d. bílrúður. 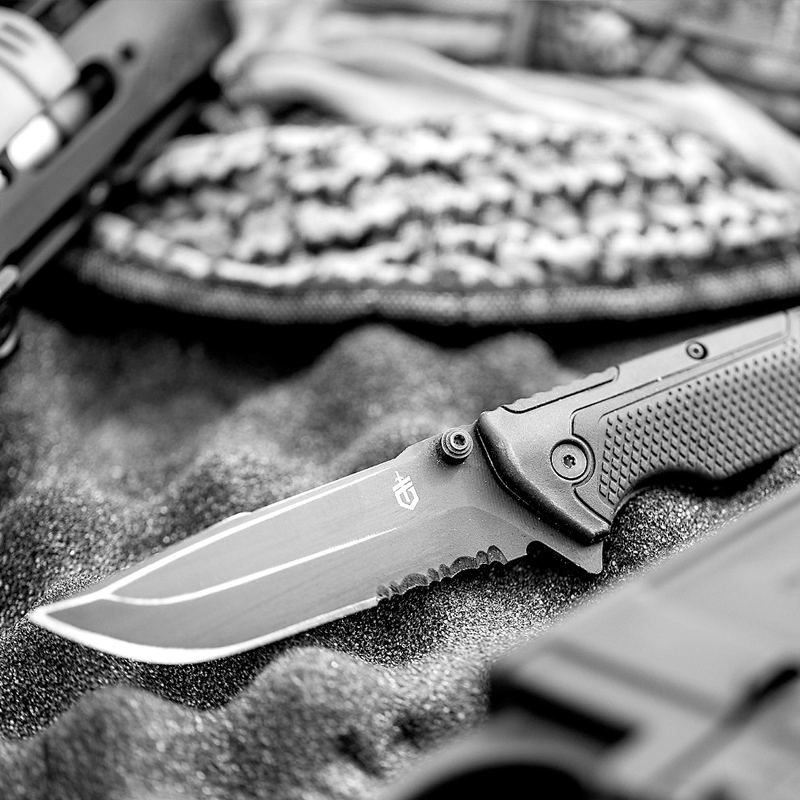 Four decades of designing tactical knives have given Gerber a wealth of knowledge regarding operators and their needs. The Decree ties all of these lessons into a tight, effective package. 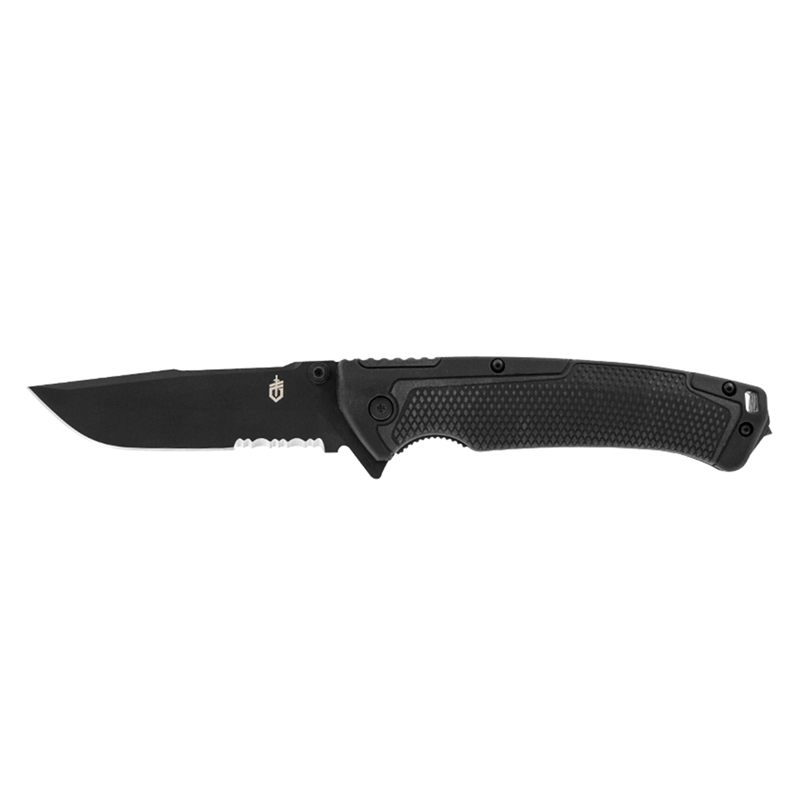 The Decree features a premium S30V steel modified tanto blade. 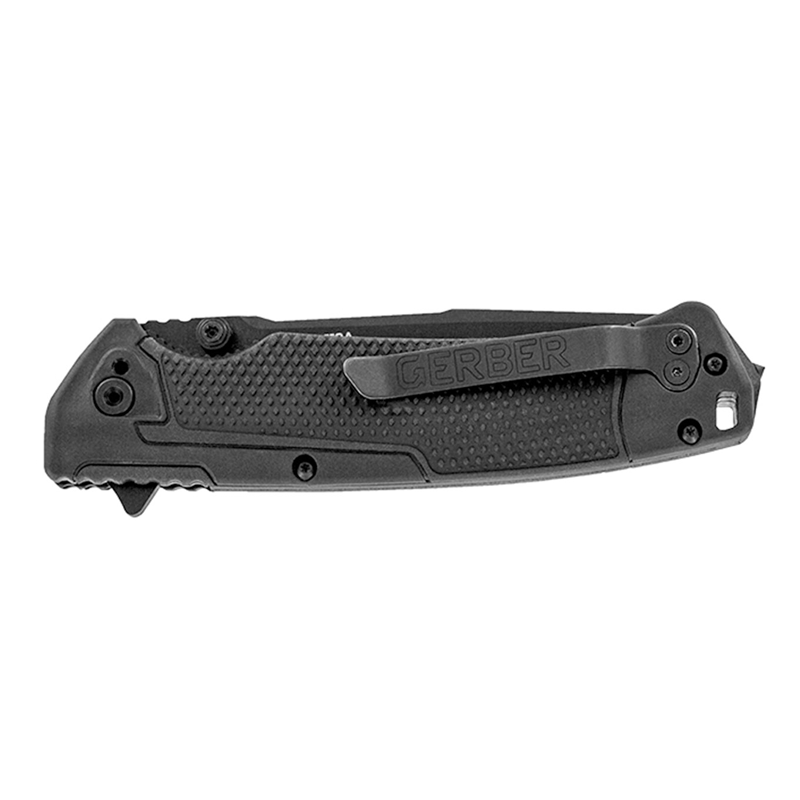 The tanto point provides superior piercing ability while the rounded bottom edge allows users to sharpen the blade while maintaining the knife’s geometry.